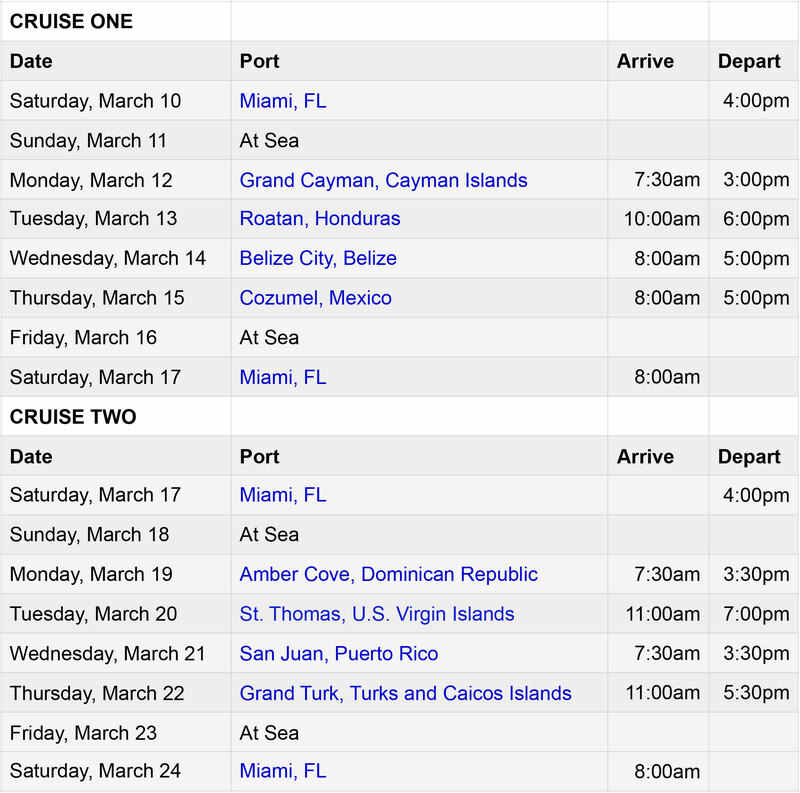 The 1st Cruise starts on the 10th March ( 2nd Cruise on 17th March same cabin on Carnival Glory) but I suggest getting to Miami on the evening of the 8th (USA TIME). Also you can leave Sydney earlier and stay overnight in another US city. March 17th Arrive back from Cruise 8am some of the group back to Sydney today. 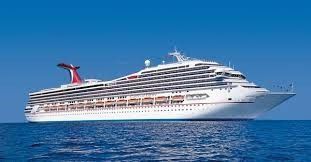 The 110,000-ton Carnival Glory is an immense floating resort with large-scale amenities. You’ll find a sprawling 15,000-square-foot health and beauty centre on the Spa Deck, complete with Serenity adults-only retreat, fitness areas, sauna and steam rooms and salon. The Carnival Glory houses a nine-hole mini-golf course, shuffleboard, Ping-Pong games and a padded jogging track. There is also the exhilarating Twister Waterslide that plunges three decks down to a spacious deck and pool area. A variety of entertainment venues – among them lounges hosting Punchliners Comedy Club and Hasbro, The Game Show – promise fun evenings for all guests. Dining options include many selections, a few of which are a reservations-only steakhouse supper club, the BlueIguana Cantina, The Taste Bar, and Guy’s Burger Joint. Available around the clock are pizza, ice cream and complimentary room service. All staterooms feature high-thread-count linens and duvet, custom pillows, fine cotton towels and terry cloth robes from Carnival’s Comfort Bed Collection, as well as soft carpeting, indirect lighting and lots of closet space. Ocean Views on nearly 60 percent of the ship’s 1,492 staterooms and more than half of those feature balconies.